The author is a professor emeritus of animal sciences at the University of Illinois, Urbana. As the breadth of feed additives expand so does the research. 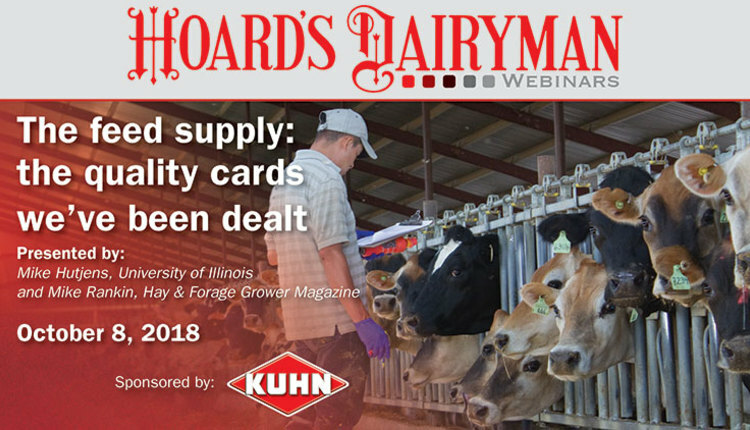 Many of the newer products in this area focus on immunity and herd health. 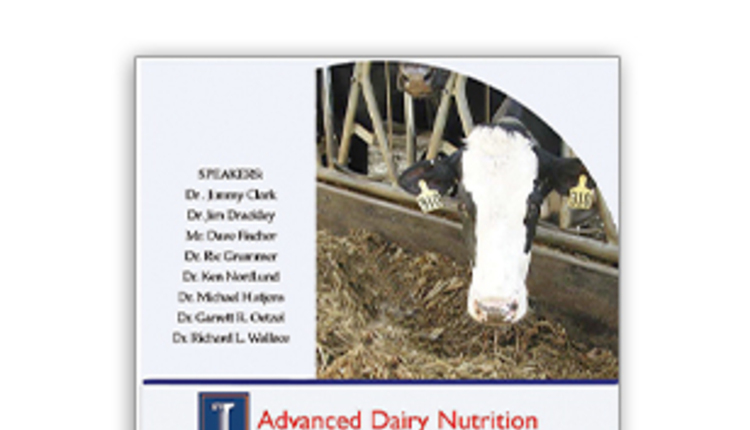 At the national dairy science meetings in Salt Lake City, Utah, in July, several abstracts featured new data on feed additives. 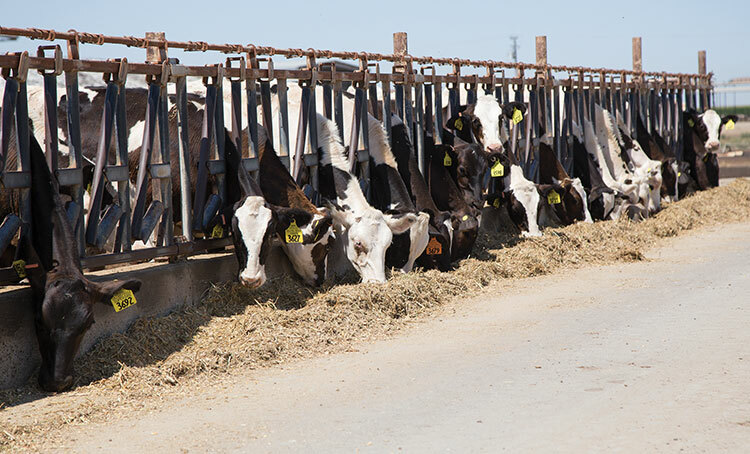 By definition, a feed additive is a ration ingredient that does not provide nutrients but improves performance by shifting rumen or intestinal digestion, absorption of nutrients, or health of animals. The area of focus of several of the feed additives in this article was immunity and health improvement. A brief summary of the study, my take-home message (not the author’s summary), and contact information for the author, if more details are wanted, are outlined below. Several studies have statistical analyses such as P<0.01, which means 99 percent of time the reported research results could occur on your farm. Listing of a brand name does not imply endorsement of the product but is included to assist readers in identifying products used in the research studies. Research summary: A large field study with 473,000 cows from 787 herds was conducted. Herd data was collected using electronic software programs on the participating farms. 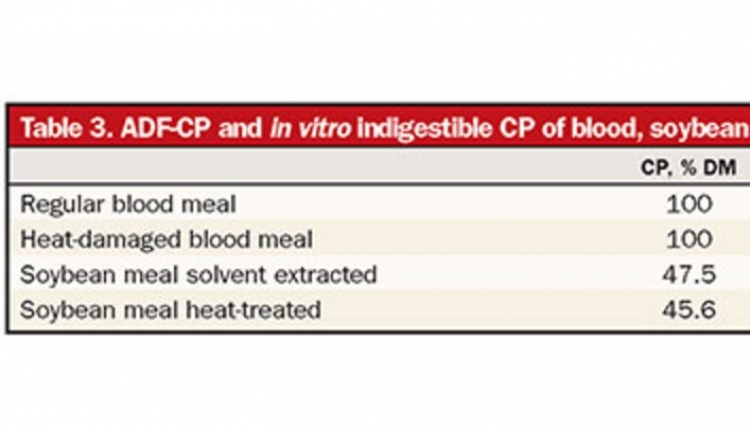 Dry and lactating cows were fed 56 grams of direct-fed microbial and yeast product (OmniGen-AF brand name) for 90 days, and cow responses were compared for 90 days presupplemented to 90 days postsupplemented periods to evaluate responses. Health responses are listed in Table 1. Somatic cell counts or SCC (bulk milk and first test) varied depending on starting SCC value. SCC dropped when evaluating herds below 200,000 cells/mL by 53.6 percent. Herds with higher SCCs responded with higher reductions. 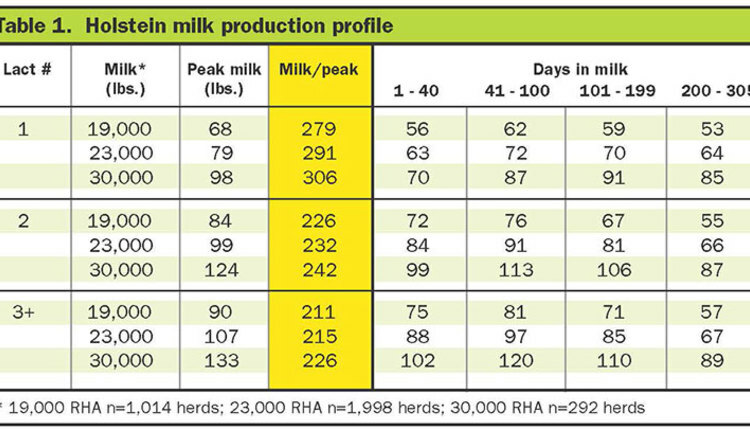 Milk production response varied based on herd size with an average improvement of 0.77 pound per cow per day comparing periods of pre- and post-treatment milk levels. Take-home message: Animal immunity continues to be an important key to herd health and lowering antibiotic use in the future. Under commercial herd conditions, the responses in health, somatic cell, and milk yield were reported. Research summary: One hundred and twelve Holstein cows that were 230 days pregnant received a diet with +130, -60, or -160 milliequivalents (mEq) dietary cation-anion difference (DCAD) balance per kilogram of dry matter for two different feeding periods (21 days — S or 42 days — L) before calving. Table 2 summarizes major responses. Urinary pH declined as DCAD levels went down (P<0.01). Feeding higher levels of anionic product to achieve the lower DCAD (-160 mEq/kg) reduced dry matter intake (P<0.01) and led to more metabolic acidosis prepartum (P<0.01) while elevating blood calcium (P<0.01). Extending the duration (from short to long) had minor impact on blood calcium levels (P <0.93). Take-home message: Feeding of a DCAD product provides beneficial metabolic responses. The length of supplementation of a DCAD product beyond 21 days was not necessary plus resulted in feed cost savings. 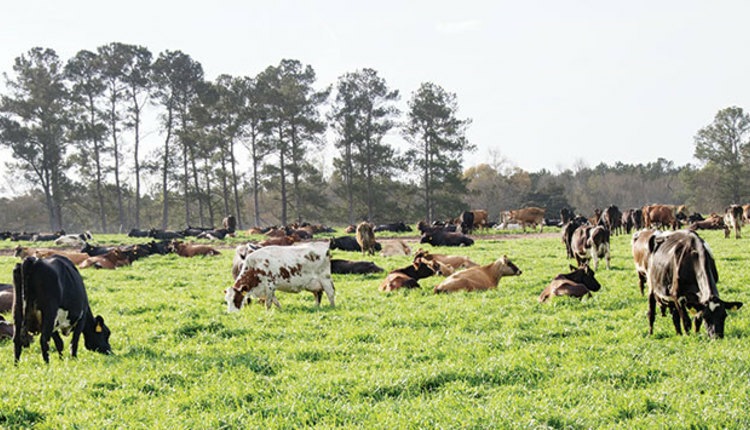 If a herd cannot have two dry cow groups on the farm, it can be fed for the longer period. High levels of DCAD can reduce feed intake and have economic ramifications. Research summary: Corn silage was contaminated with Escherichia coli at ensiling and after aerobic exposure after ensiling. Several silage inoculants or propionic acid were tested at ensiling as treatments. The pathogen was eliminated within three to seven days after ensiling. Propionic acids (added at 2.2 grams per kilogram of silage) and Lactobacillus buchneri resulted in lower yeast counts (P<0.05) and higher levels of acetic acid (P<0.05) than the control, leading to improved stability after 120 days of ensiling. Subsamples were reinoculated after 120 days of ensiling and after 168 hours of exposure to air. The added pathogens were suppressed by propionic acid and L. buchneri treatments maintaining low pH values and no pathogens. Take-home message: The two treatments were effective in reducing pathogenic bacteria in corn silage after exposure to air. Corn silage stability is important under feed storage stress conditions and slower feedout from bunker or pile faces. Research summary: Two studies were conducted to evaluate the benefits of beta-mannanase (CTCZYME brand name). Twelve postpeak milk cows were fed none (control), 0.1 percent added enzyme (LS), or 0.2 percent added enzyme (HS) of the ration dry matter in a Latin square designed trial. Feeding cows LS or HS levels did not impact milk yield, dry matter intake, milk components, or methane production. Somatic cell count was lower for LS supplementation (P<0.02). Nitrogen efficiency was also improved at the LS level. A second study included 14 early-lactation cows that were fed no (control) or LS level. Immunity markers such as haptoglobin concentration were also analyzed in plasma of the cows. Total white blood cell counts were no different. Take-home message: Beta mannanase, a fibrolytic enzyme, breaks down mamman, a nonstructural carbohydrate used in swine and poultry diets to improve immunity. Its application in dairy cows is interesting as it may improve immunity and herd health. The appropriate level appears to be 0.1 percent of the ration dry matter. More research will be needed. Research summary: Dry cows under heat stress were studied using four approaches: 17 dry cows only exposed to shade (control); 19 dry cows fed a feed additive identified as OG (yeast and DFM — Omni-Gen-AF brand name); 16 dry cows cooled, including shade, fans, and sprinkling (cooled); and 11 dry cows that were cooled plus OG (COG). Respiration rates were lower when OG was added (56 per minute versus 61 for nonsupplemented cows) with a P<0.01. Cooled cows and OG supplemented cows produced more milk compared to control cows (cooled +10.6 pounds, OG +10.2 pounds, and cooled plus OG, +11.4 pounds). Take-home message: Cooling dry cows improved dry matter intake, helped maintain cows a longer gestation period, reduced heat stress signs, and upped milk production. OG supplementation can reduce the negative effects of heat stress.